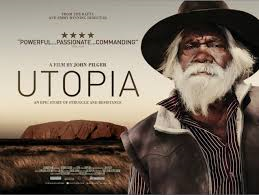 Utopia – John Pilger – John Pilger is a tireless, passionate and provocative journalist whose latest film revisits a topic which has dominated much of his sustained research and filmmaking: the abuse and mistreatment of Australia’s indigenous people. The film begins with footage of an Australian politician calmly discussing plans to poison water supplies. We then cut to a young boy being tasered and a semi-conscious man physically abused by police, followed by the white on black title: UTOPIA. Within the first few minutes the unrelenting abhorrence endured by a misrepresented history of aboriginal culture rears its ugly head, made all the more confrontational with the two-faced and sour irony of the title, an irony which becomes increasingly appropriate to the subject and its place in current media representation. 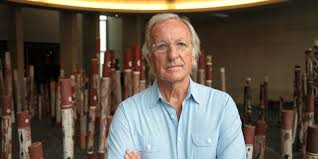 Pilger’s film reveals the complicated nature of Australia’s colonised history, the repressed and silenced identity of its indigenous people and the ongoing extent of their suffering. It is by no means a light, frivolous or enjoyable watch – and nor should it be. Conversely it is a painfully important document. The discordance of aboriginal day-to-day living with the widespread wealth and comfort of the country is devastating. Dangerous and crumbling accommodation, lack of electricity, limited medical support, restricted water and rife, curable but untreated disease. In troubling addition to aboriginal abuse there appears to be a wider racist attitude underpinning many systems which Pilger interrogates. 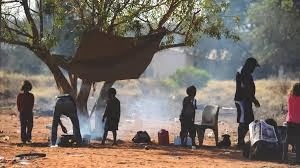 If Pilger’s documentary is reliable in all of its claims, which it frighteningly appears to be (resting on the commitment of his ongoing research, engagement with aboriginal communities and access to political figures), then it seems the majority of this racism goes expansively unchecked by Australian political and judicial authorities. ‘Rack ‘em and stack ‘em’ systems of cramped incarceration keep a staggering percentage of Australia’s black population unjustly and inhumanely imprisoned. While a huge percentage of racist abuse is encountered during periods of custody. Some of the most unsettling parts of the film arise in the queasy refusal to publicly acknowledge injustice, an ignorance encouraged and inflamed by various media campaigns. This led to the disturbing discovery of a former concentration camp on Rottnest Island which is now used by families on holiday as a health spa. No public acknowledgement anywhere of its actual and horrific history. As a result the architecture of imprisonment goes through its own sickening transformation, three cells that would have held up to 70 Aboriginal men is now a family suite. Where cramped thousands died tourists now picnic and take their families – with absolutely no awareness of the massacres that took place. 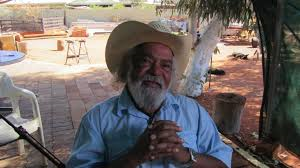 The horrors of the documentary, from mass media deception, hidden histories, the ‘stolen generation’ (a huge scale kidnapping which robbed mothers of their children motivated by a form of eugenics), physical abuse, poverty and socio-political injustice, are all punctuated with interviews based in Aboriginal communities. The communities we encounter are Utopia (in central Australia), Ampilatwatja in the Northern territory and the Mutijulu in the eastern end of Uluru. Pilger’s film ends with him facing the camera in what feels like an appeal. Having made the documentary The Secret Country – The First Australians Fight Back! in 1985, a reoccurring sadness and sense of desperation in Utopia derives from the impression that nothing has changed. In a Q and A (18/11/13, held in the Ritzy in Brixton, London) Pilger described the editing of the film, in which footage between the two documentaries (1985 and 2013) were at one point even confused. This is an exhausting, at times excruciating watch, a film that asks for recognition and reaction for an ongoing injustice that has received neither.